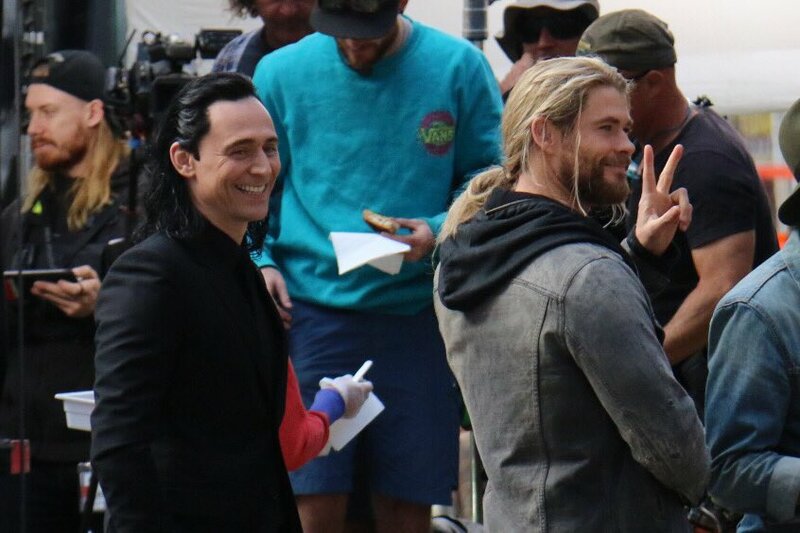 Thor and Loki (Chris Hemsworth and Tom Hiddleston) are reuniting once again in Thor: Ragnarok in set stills and more. 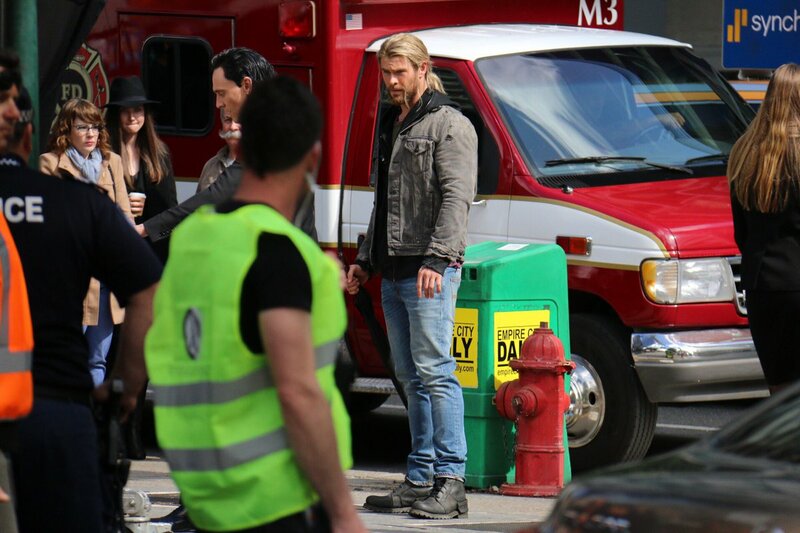 New set stills show Thor and Loki crossing paths again in the Big Apple. 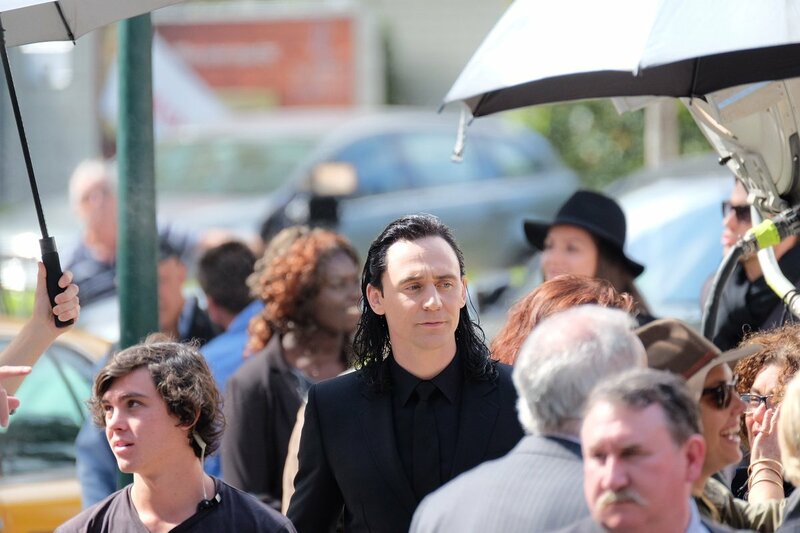 Thor: Ragnarok is currently shooting in Australia which is temporarily New York in the moment. The two are spotted sporting as civilians to seem as part of the crowd. One image shows the two chilling by newspaper stands with news headlines that read “Has Thor Returned?”, “God Thunder Strikes It Up with Lady Justice”, “Times Square Murder”and “Villain Loke Spotted”. 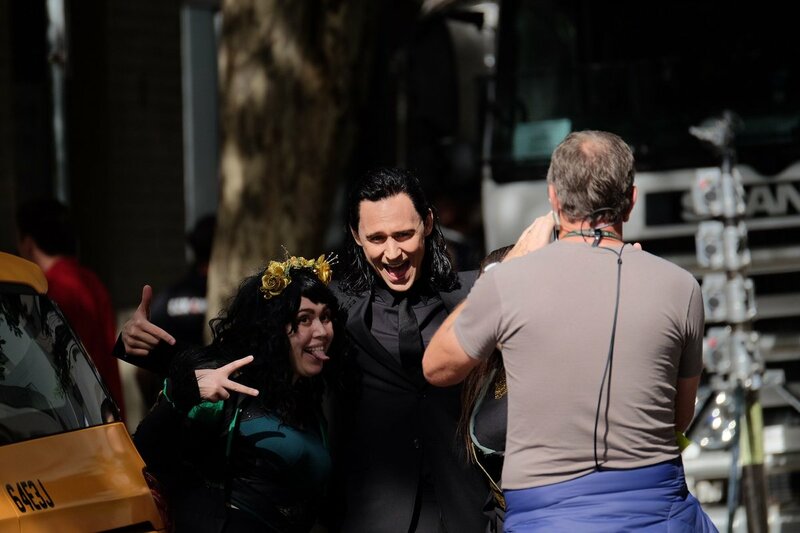 Based on the images, it seems Thor and Loki are keeping it on the down low as ordinary citizens and not the Asgardian Gods that they are. Thor: Ragnarok is amping up the hype with these Twitter and Instagram posts. All that’s left now are images of Tessa Thompson as Valkyrie, Cate Blanchett as Hela and Jeff Goldblum as the Grandmaster to really arouse the moviebuffs. Thor: Ragnarok is set to hit theaters by November 2017.